With The Release Of The Newest iPhone On The Horizon, Is Apple Seeing A Decline In Interest? The newest generation iPhone is likely to feature force touch display, a heightened and faster processor and an even higher functioning camera versus its predecessors. Wednesday, September 9th, 2015, Apple will most likely unveil its newest model of the iPhone to consumers around the globe. With the new iPhone release, we might see a “Pro” model release of an all-new model iPad said to sport a 12.9-inch screen, according to a Buzzfeed report authored by John Paczkowski. September 9th of 2014 coincidentally saw the release of the iPhone 6 and iPhone 6 Plus. Similarly the past three years, Apple has made their phone announcements in the ever popular month of September. 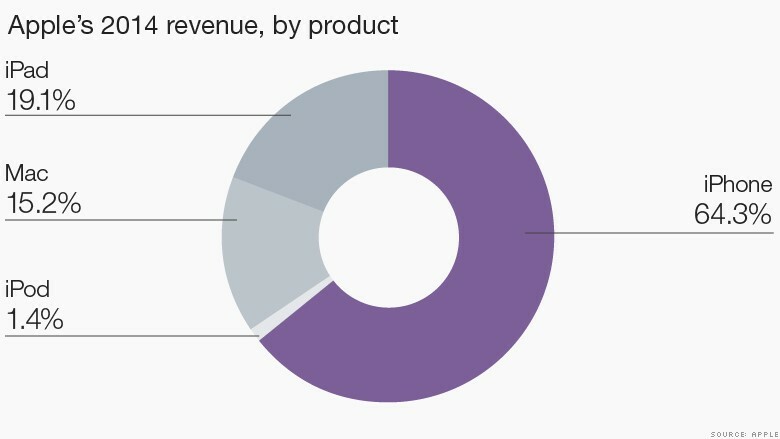 With the iPhone as the number one generator of revenue for Apple, analysts will be eyeing in on the new models in regards to the profit makers. In recent weeks, however, Apple made announcements stating iPhone sales have been less than adequate, releasing a pessimistic forecast of sales in opposition to what financial predictions set forth. It should be noted, Apple’s iPhone lost its once great foothold in Chinese markets, which at one point accounted for more than 25% of total sales in a recent quarterly report. Technology research firm Canalys reported in the previous week that Apple, the once number one selling smartphone in China, had dropped to third place to Chinese technology companies Xiaomi and Huawei, respectfully.